Grand cascades, raging torrents, glorious fountains or ferocious rapids – there are few in the world who don’t enjoy waterfalls; and the more magnificent they are, the better! 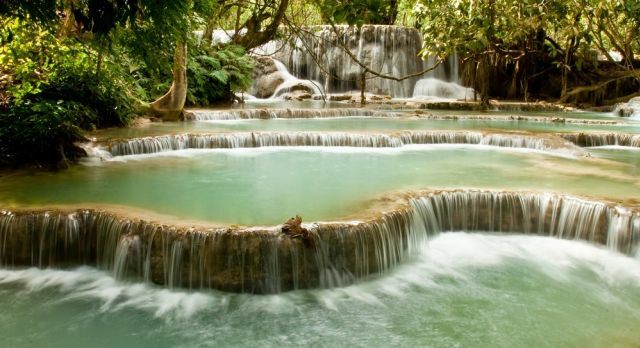 Here’s our list of the top ten exotic waterfalls you need to see at least once. Rest assured that you will not be disappointed. Neatly tucked away between the borders of Brazil and Argentina, the magnificent Iguazu Falls are a sight for sore eyes! Despite the fierce natural beauty of the scenery, it’s really the sheer power and noise that make Iguazu Falls an unforgettable experience. 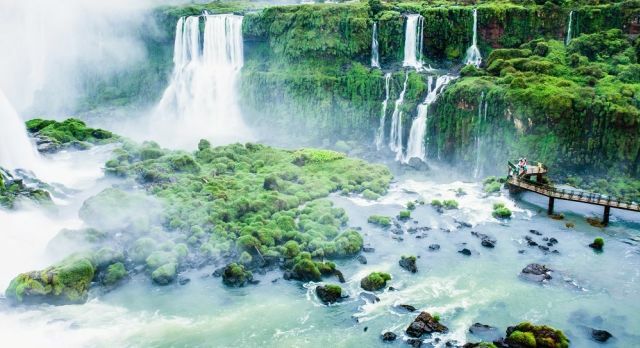 At Iguazu, 275 different waterfalls and numerous cascades spread over a wide edge – 3920 feet above sea level! Nearly half the water thunders down into The Devils Throat – a U-shaped, narrow chasm. Read more about the Iguazu Falls. 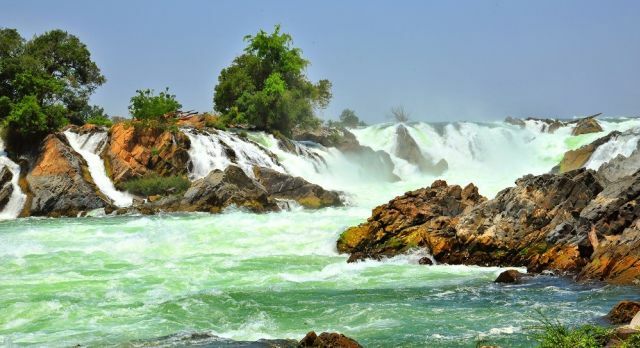 The Khone Phapheng Falls in Laos, called the ‘jewel’ of the mighty Mekong, splits the river into the north and the south. The sheer volume of the roaring waters, the many rapids, and the steep descent, make this part of the river un-navigable – a reason why the French were unable to sail northwards and invade China! Take a kayak ride from one of the neighboring islands at Champassak and you won’t miss the Irrawaddy dolphins that live here. 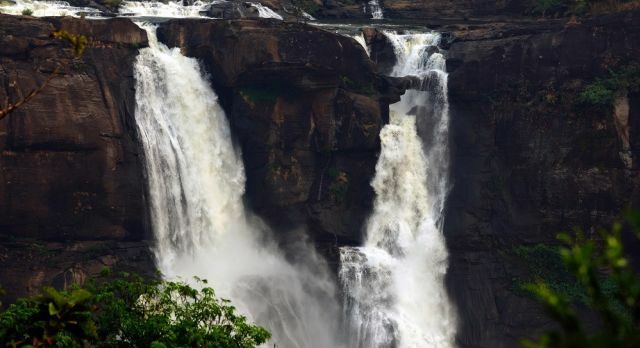 The Athirapally waterfalls of Kerala in South India, are a must-see during the monsoons! The dense forests of the Western Ghats surrounding the waterfalls add to it’s appeal, especially if you’re looking for untouched natural beauty. The walk through the small path to the base of the waterfalls can be a little strenuous. Watch out for merry picnickers on weekends. A visit to Asia is incomplete without a glimpse of the Kuang Si Falls. From the entrance through a forested walkway to the fascinating turquoise-blue waters, it’s an other-worldly experience altogether! Prepare to be enchanted! The main waterfalls are about 200 feet in height but the real hero are the shallow pools downstream, where you will frequently find tourists taking a dip. You can indulge in a game drive at the park, go fishing near the shores, or enjoy a launch trip to the base of this spectacular natural wonder – the options are many! 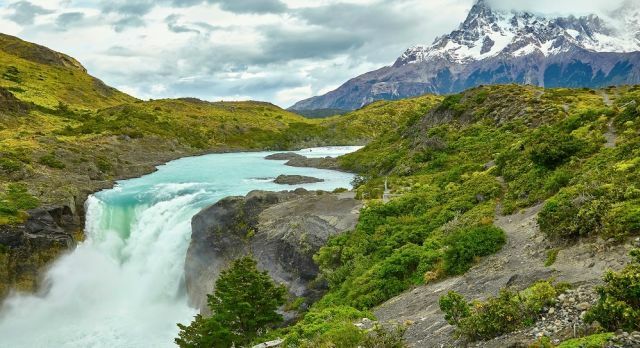 Often considered to be the best feature of the Torres del Paine National Park in Chile, this waterfall is powerful enough to literally shake the ground beneath your feet! Check out the Grey Glacier near the Falls and you will not be disappointed. Do prepare yourself for some strong gusts of wind! If off-the-beaten-path is your thing, then this is the ideal destination for you! The stunning Gocta Falls are set high in the cloudy mountains of the Chachapoyas region of Peru, where the towering Andes meet the lush Amazon. The fifth-highest in the world, they stand tall at a magnificent 2536 feet! Though the waterfalls are remarkable throughout the year, they are really at their thunderous best during the monsoons. 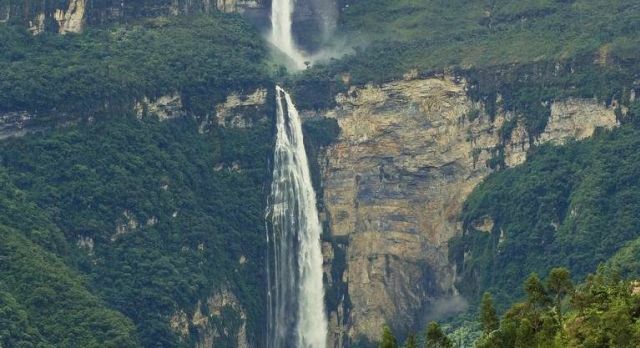 The Gocta falls have been Peru’s tallest secret till 2005, when they were ‘discovered’ by Stefan Ziemendorff. The story goes that the locals feared the wrath of a certain blonde mermaid who lives in the water and doesn’t appreciate publicity! 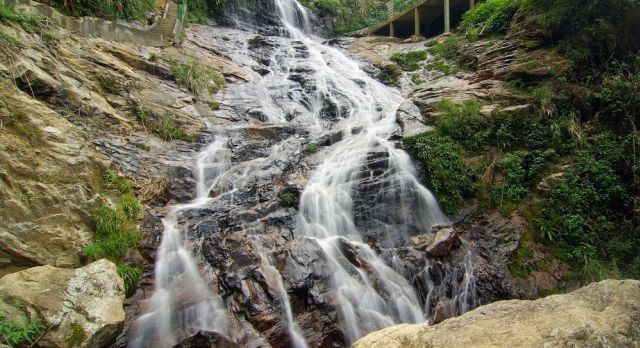 The Silver Waterfalls certainly hold their own amidst the hauntingly beautiful Vietnamese landscape. 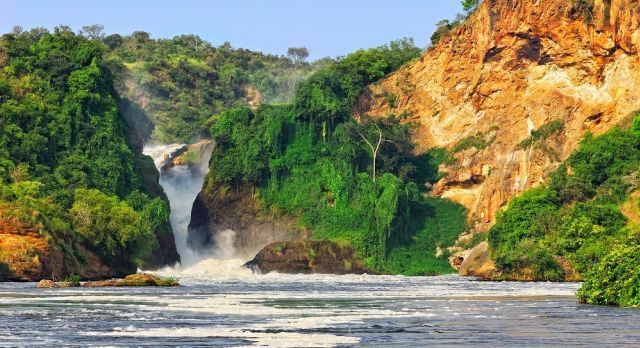 The charming falls with the lofty mountains surrounding them is not a sight you want to miss! A refreshing atmosphere in Sapa, the roar of gushing waters, and clusters of bamboo, all of which could easily inspire a poem or two! 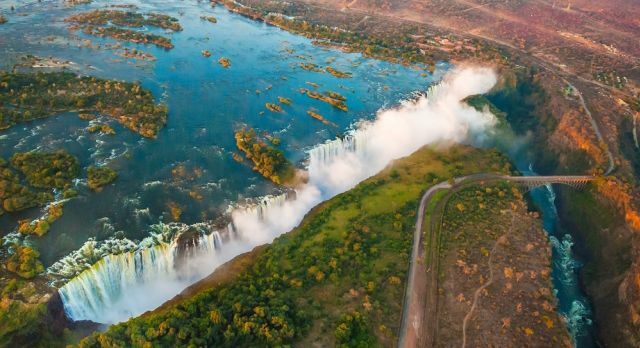 Named after Queen Victoria, the magnificent Victoria Falls is very popular with the crowds! Located on the border of Zimbabwe and Zambia, it is known locally as Mosi-oa-Tunya or ‘The Smoke that Thunders’. It’s also the widest in the world, at 5604 feet! The narrow footbridge to Knife’s Edge on the Zambian side offers a great view. You can also take a dip in the waters of the Devil’s Pool near the edge. 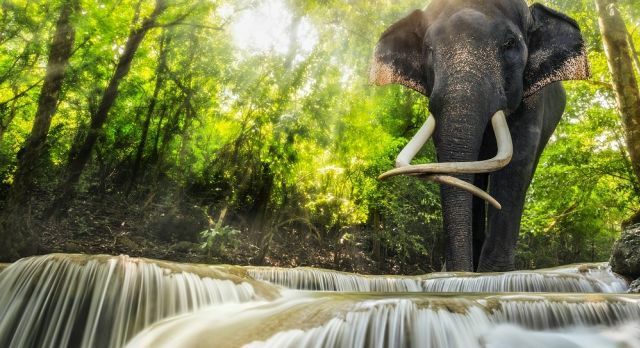 Their real appeal lies in the mesmerizing emerald-green pools formed by the Erawan Falls in Kanchanburi, and the dense jungle surrounding it – just like an enchanted forest from a Disney movie! Be sure to take your inner geologist along – the many caves around here are worth exploring! A lot of footfall – the waterfalls are a very popular tourist destination in Thailand. Take a bathing suit along because you’ll want to take a dip in the water after the trek to the top. A word of caution – these be slippery slopes! Our destination experts look forward to welcoming you! Pack your bags, get set, and go! Explore some our sample trips for inspiration.